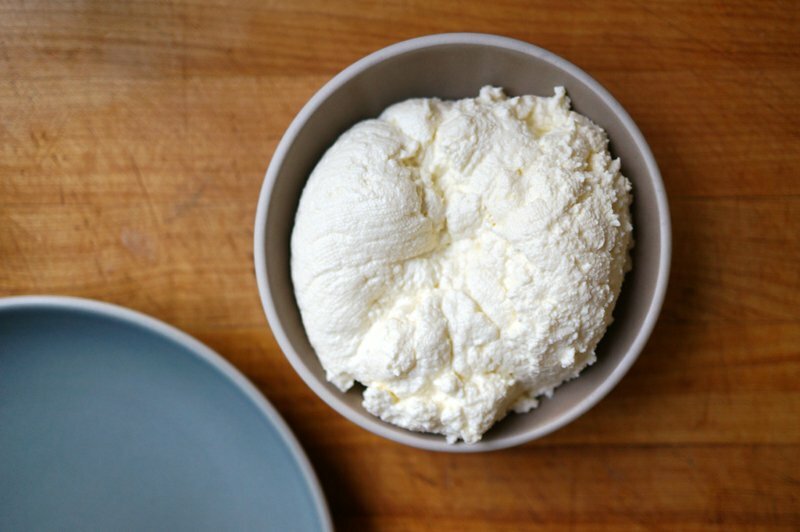 Fresh homemade ricotta is incredibly simple. It tastes much fresher than any store bought variety of ricotta and the texture is so creamy smooth it’ll be irresistible not to just eat spoonfuls of it. 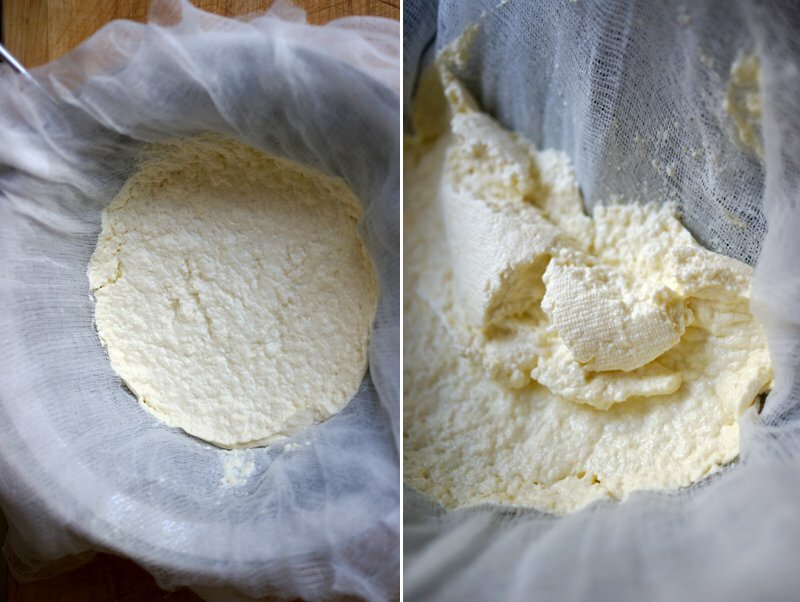 I’ve made ricotta plenty of times before and most standard recipes call for the use of whole milk. The results were good enough but in my opinion not really worth the trouble of making at home. That is until I tried a recipe that used heavy cream and milk. The ricotta was so amazing that I could eat it simply with bread. 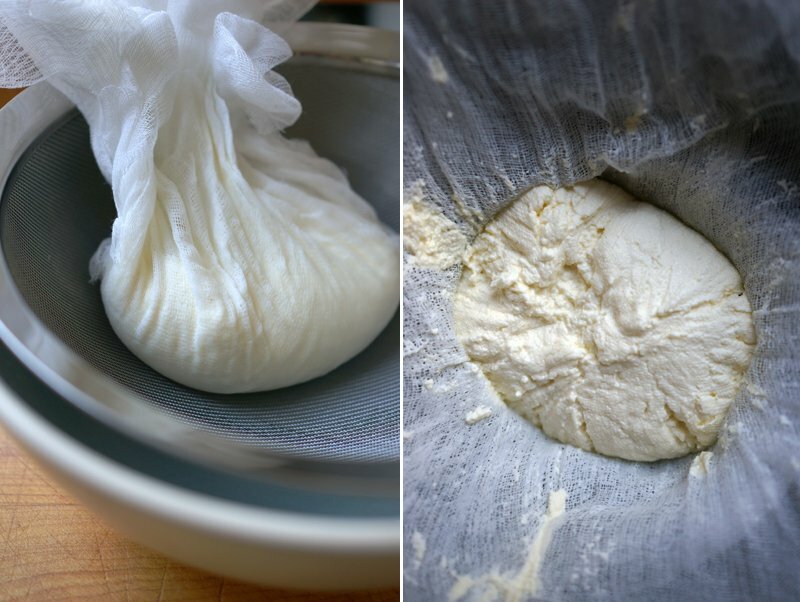 Fresh homemade ricotta is incredibly simple. It tastes much fresher than any store bought variety of ricotta and the texture is so creamy smooth it'll be irresistible not to just eat spoonfuls of it. 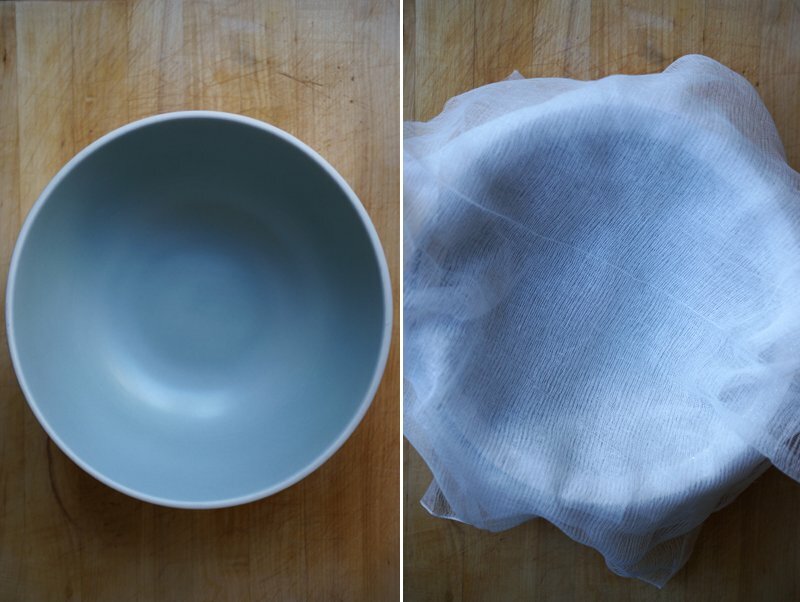 First line the inside of a medium sieve or colander with layers of cheese cloth and set it inside a larger bowl. Heat the milk, cream and salt in a medium pot over medium heat. Place a candy thermometer and heat the milk until it reaches 190° F, while stirring occasionally so the bottom does not burn. 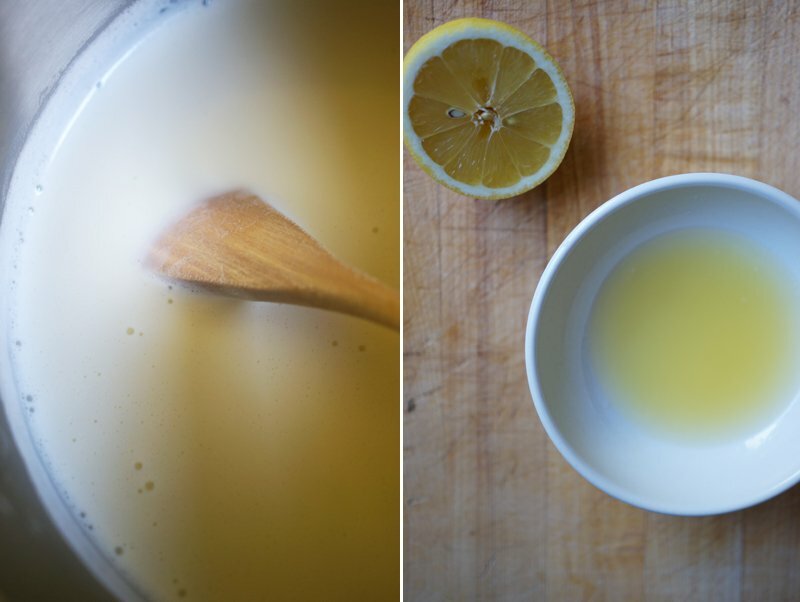 While the milk heats, prepare the 3 tablespoons of lemon juice. The milk will reach about 190° F when it just starts to rapidly foam up. 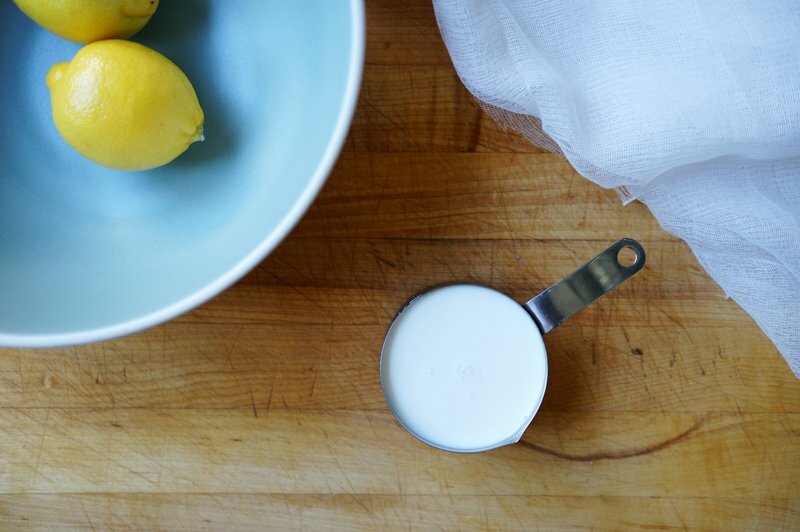 Just before it does, quickly remove the milk from the heat and pour in the lemon juice or vinegar. Stir once or twice to incorporate the acid and let it sit for 5 minutes. Once the curds have formed, pour the mixture into the cheese cloth-lined sieve or colander. Let it strain for at least 1/2 hour if you like your ricotta more wet. For a firmer consistency let it strain longer; up to 3 hours. I liked it in between and let mine strain for about 1 1/2 hours. Pull the sides of the cloth so the ricotta peels away. Store in a an airtight container in the refrigerator. It should keep up to 4 to 5 days. Can you tell me about how much this recipe makes? I’m going to use it to make a baked ricotta dip and what to be sure I have enough. Thanks. I’m sorry but I never measured the amount after but I think it was about a cup? Hope that helps! 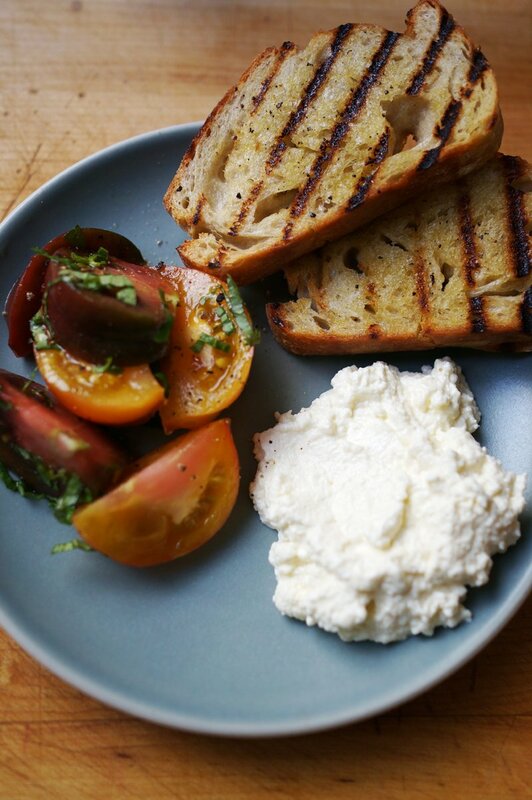 This was the best and easiest recipe for homemade ricotta ever! I served it on-top of a spinach.meatball and pasta dish…with a light butter sauce. It was Amazing! Thank You for sharing. When do you add the sea salt? I seriously can’t believe how easy and delicious this recipe is! We added it to our veal bolognese last night. Yum-o. Yay!! Thanks Claire. What a perfect way to use it. Glad you enjoyed. This looks so yummy:-) Gonna send this to my girl friend and try it out. Also, this site looks so sleek. Big FAN!!! Thank you Yang– glad you are enjoying! 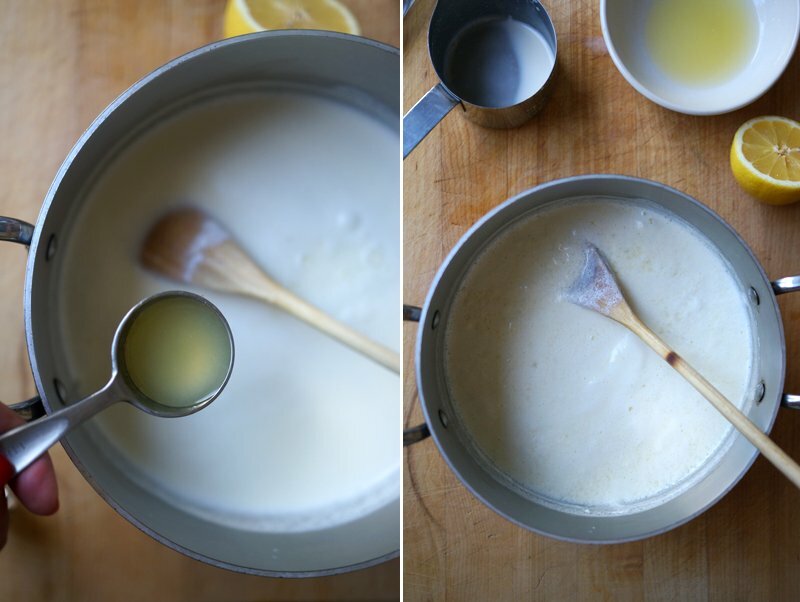 I love this recie and will give it a go soon- really like the idea of making own cheese in general and how this recipe uses the lemone and vinagre as a kind of rennet-excellent! 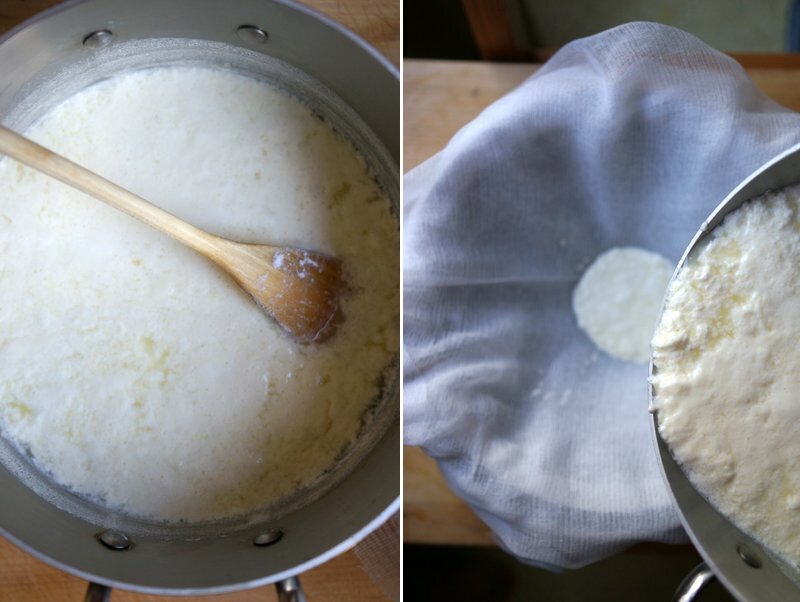 This is also how we make Lebanese labneh, by straining homemade yogurt (similar to Greek yogurt) in cheesecloth. Labneh has a creamy consistency, thicker than sour cream but softer than cream cheese. This is exactly how we make Indian Paneer. Except we press the cheesecloth-wrapped cheese to get as much liquid out as possible, so that it is firm enough to slice into cubes. Some of my favorite foods! What a brilliant idea! Ohhh. I’m gonna try making this! Honestly … YUM! I’M DOWN! 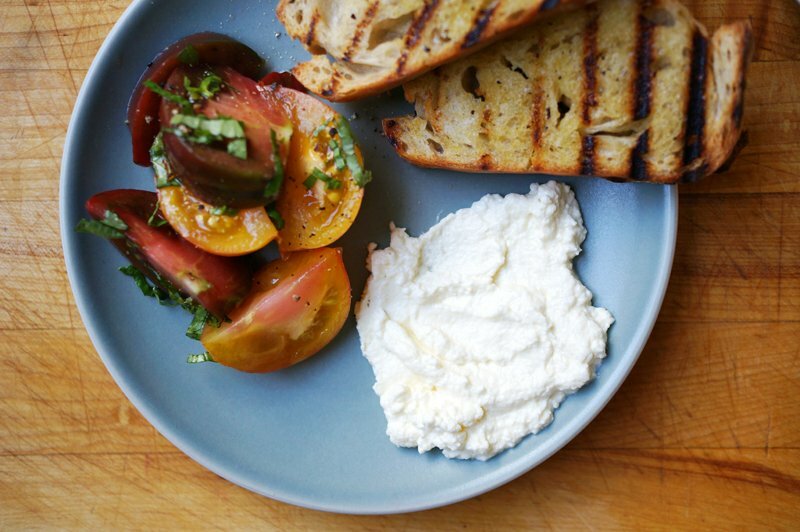 I can personally attest to how honestly delicious this homemade ricotta recipe is. Store bought ricotta pales in comparison . . . never again!